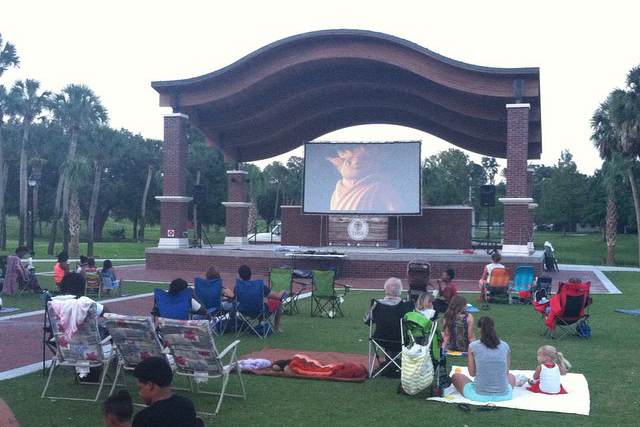 Holy Cross Lake Mary is a church that believes in community and strives for a family friendly atmosphere at church. We believe that the life of a disciple of Jesus is based around living an abundant life (John 10:10), learning and sharing the Word of God (2 Peter 3:18) and receiving and sharing God’s love (Matt 22:37-38). Everything we do is based around this Live, Love, Learn approach to life. We believe in getting together and hanging out with each other outside of just attending church on Sundays, and we believe in being involved in the community through service. The biggest thing that has defined our last year of ministry is the amazing way that God has blessed us through the working of his Holy Spirit! We have baptized 28 people and confirmed or brought in as new members another 45. 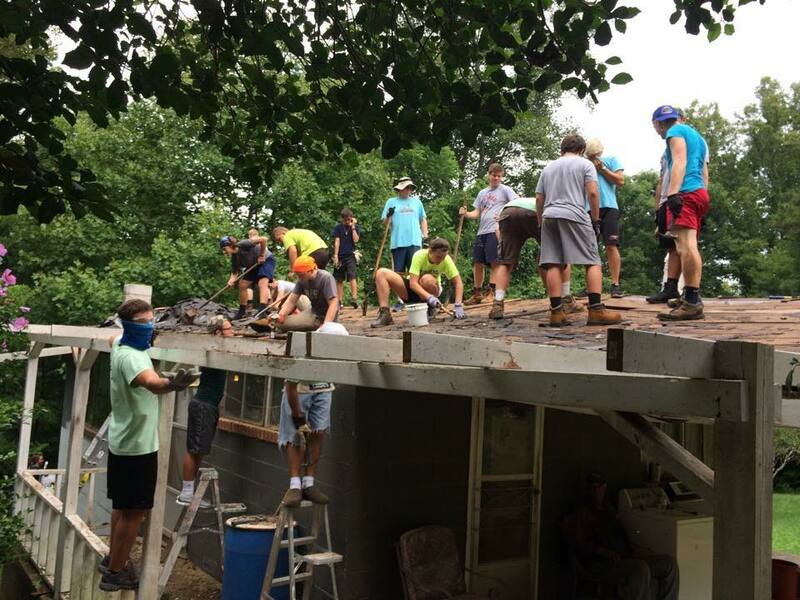 We had a record number of students go on our annual youth mission trip. We supported the school in achieving the long time goal of purchasing land for a new High School. We continue to have an impact in the community through Family Serve events, community outreach events and serving with and supporting our Community Partners. And we have done it all while continuing to look forward to doing even more through planting more churches and helping to grow our new High School. Helping to spread the Gospel and bring people to Jesus through planting churches has primary importance, and so $625,000 of the overall goal will go toward funding 3 more church plants by the year 2020. 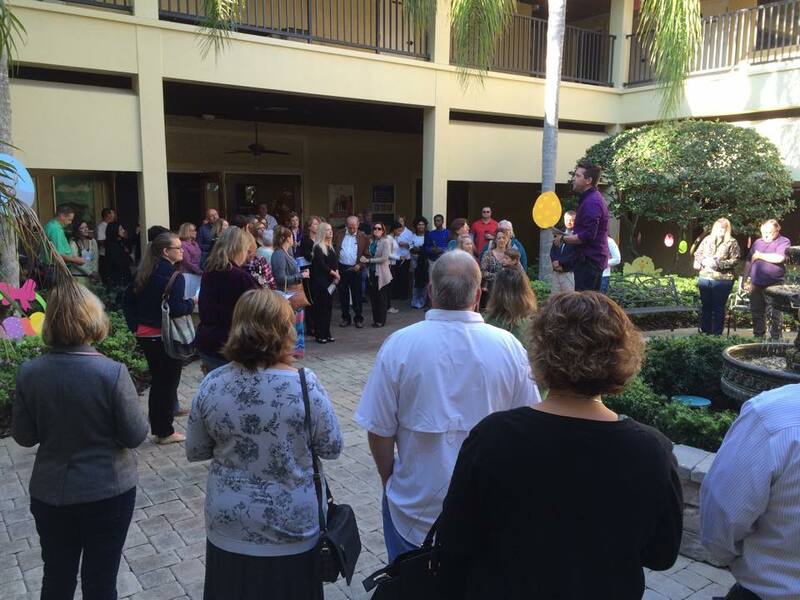 The leadership at Central Florida Cross Network has determined that it costs approximately $250,000 to start up and fund a new church for three years. Our goal of $625,000 will allow us to fully fund two new churches and contribute half the cost towards another! A Portion will be put towards growing the current ministries of existing churches in the network. This will include a few capital and equipment improvements at the Holy Cross Lake Mary campus, such as a new stage for the worship band, a remodeling of the community room to help improve our Sunday Kids Church, and other improvements all designed to help us better reach people in ministry and worship together. It will also include support of our existing church plants, that will help them to continue to grow by supporting their ministry and helping to fund larger spaces to fit their growing needs as they continue to reach more and more people. A Portion will be a part of impacting the community through service and ministry. A large part of that is the new High School, which is a way that Holy Cross Lake Mary, in partnership with Holy Cross Lutheran Academy, is helping to meet the needs of the community. Through the development of a Christian high school, along with the community-based Christian sports program, Seminole Leagues, we can have a tremendous impact on the community, and help to bring Jesus to even more people. $200,000 will go to support these ministries. The remaining $175,000 will be used to create grants that non-profit community organizations can apply for. Through those grants we will be able to help both existing partners in the community, and also have the potential to help support new and exciting work in the community. Throughout this campaign, we are also looking to develop between 150 to 200 new volunteers. These volunteers will be both a part of serving within the church as ushers, kids and youth worship teachers, mentors, altar guild members and much more. We will also have volunteers serving within the community at one of our many community partners, such as the Oasis homeless respite center. By developing these new volunteers we can increase our impact in both the church and community while also helping people to grow in discipleship and in their relationship with God. theCross Mount Dora is a family-friendly, fun, and creative church that will do anything and everything to glorify God. We are passionate about worship, outreach, and serving the community. 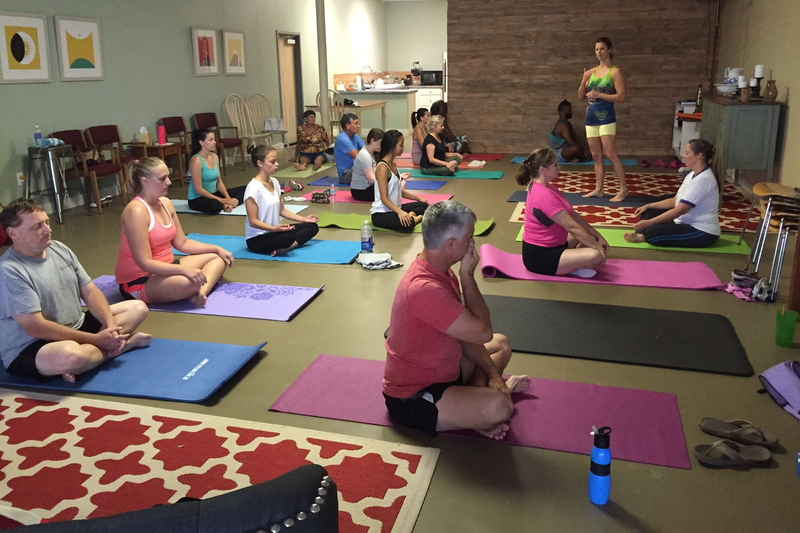 We’ve created a space that feels incredibly welcoming of all people. We’ve become a home for many going through recovery. Lifelong Christians are being challenged in their faith like never before. Altogether, God is doing amazing things at theCross! 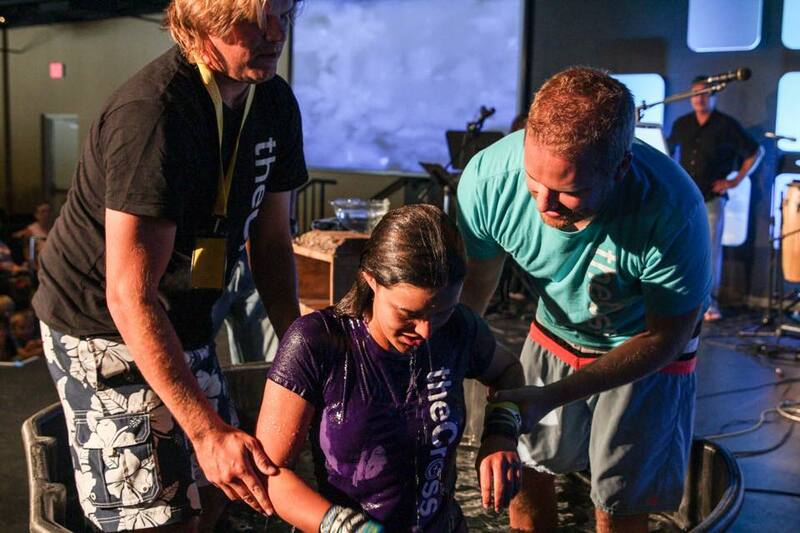 2014 and 2015 have been years of incredible growth for theCross. Growing from 150 to 450 people on a Sunday in just 18 months has been nothing short of a miracle from God. We’ve made international headlines twice by the creative ways in which we are doing ministry as well as bringing many new families and individuals into the faith in that time. We continue to be community focused as well through a non-profit that we started called “Hand-in-Hand” which is a mentoring/coaching ministry. Through this non-profit we have been able to open up 2 recovery houses for up to 25 men who are struggling from addiction and alcoholism. 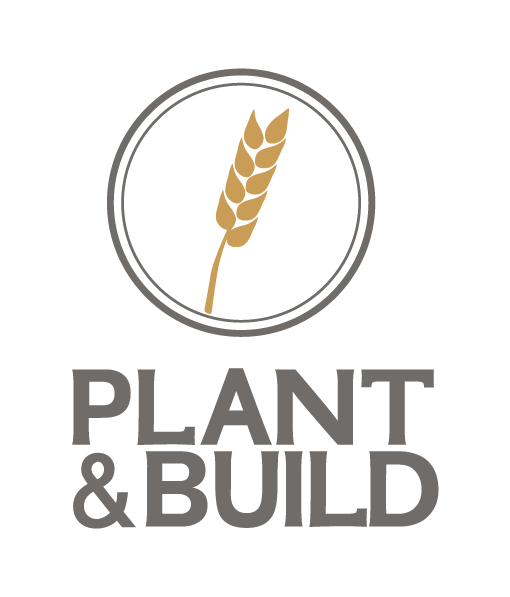 The first component of Plant & Build is to plant a new church. Together with the other member congregations of the Central Florida Cross Network we have identified the cost to plant a new church including administrative support and resources for the first three years. As a recent church plant, we are excited to be in a position to pay it forward and plant a new church. We believe that by planting a new church we will bring many more people to a relationship with Jesus Christ and His Kingdom will grow. We are passionate about helping contribute one more congregation toward our network goal of eight by 2020. The second component of Plant & Build is to strengthen our commitment to our community partners in Central Florida with finances and an aggressive plan to increase volunteers for these partners. We plan to support our non-profit partners through grants which will serve a need in the community. Imagine if we are able to contribute significantly to organizations like Hand in Hand, Lake Cares, and Habitat for Humanity as well as be the catalyst for new non-profits or ventures that will serve the community. Possible ideas could be a community garden, sports programs for children, tutoring/mentoring programs, etc. It is our goal that by 2020 we will also provide over 150,000 volunteer hours to our aforementioned non-profits that we support. By strengthening our community partnerships we reinforce our mission to meet the needs of the community and grow the faith of all who believe. The third component of Plant & Build is growing our existing church. Every healthy congregation needs capital improvements as it grows. Our growth trends are extremely encouraging. With the amount of visitors and guests that come through our church doors, combined with the growth of Mount Dora, we see ourselves needing to make responsible fiscal decisions as we move forward. 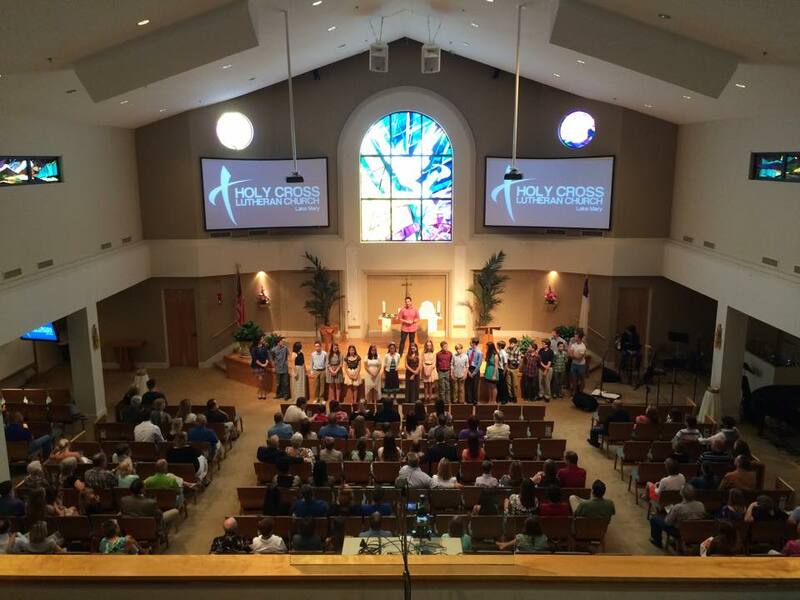 What has become abundantly clear through these first four years is that theCross Mount Dora is a viable congregation that is here for the long haul! Because of this reality, it makes sense for our church to move towards a more sustainable permanent location by 2020 by investing in land and/or a building that will better suit our needs in the future. We are trying to anticipate the needs for the next 3-5 years for our church. If we are looking to move by 2020 then the strategic planning needs to begin now so that we are ready by that time and we do not become stagnant for any length of time. We plan to use a small portion of these funds over the next 3 years in equipment upgrades and possible rentals of additional units. The majority of this amount could be applied towards a down payment of land/building/renovation of a new worship facility. 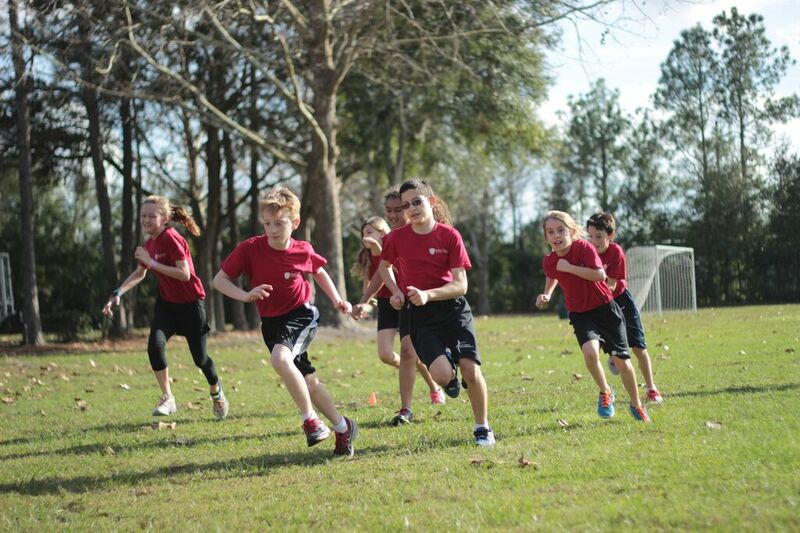 Holy Cross Lutheran Academy is a school that plants seeds of Faith and Knowledge through Early Childhood, Elementary, Middle School and High School programs throughout Northwest Seminole County. Through our three separate campuses, we feel called to serve our community by providing quality Christian education that helps children and families know how to live as responsible Christian citizens, to courageously share the love of Jesus in a changing world, and to learn through excellent academics that teach the whole child. For the past 30 years Holy Cross Lutheran Academy has helped students understand how to Live, Love, and Learn by connecting faith and learning. What began as a PreSchool storytime for 10 children two days a week has grown into a full Early Childhood program serving 140 children on two separate campuses, an Elementary school serving 160 children and a Middle School program serving 90 students. When asked what they like best about our school, parents frequently respond with ‘the caring teachers’, the ‘family friendly atmosphere’, ‘that my child hears about Jesus every day’. The 2013 -14 school year saw Holy Cross Lutheran Academy bursting at the seams. With classes filled to capacity, land-locked and unable to build additional classrooms, growth was limited. However, in the spring of 2014 our school was able to purchase an additional 15 acre campus, located three miles to the east. With this acquisition, our middle school moved to a new larger facility allowing classroom space for the elementary and middle school programs to expand. The new campus also enabled us to begin a High School, thus fulfilling a long term goal. The class of 2019 starting as Freshman this fall has 10 students. Moving into our new Upper School campus was a challenge; one that our school community took on with a great enthusiasm. Volunteers generously gave of their time and talents to renovate buildings, clean classrooms, paint facilities, and remove or repair old equipment to prepare for the start of school. 2014-2015 saw HCLA enrollment, for the first time, go over 400 students. This number puts us in an elite group as only 7% of Lutheran schools nationwide have over 250 students enrolled. In addition to expanding our school to three campuses, HCLA launched a faith-based Sports League for the community named Seminole Leagues. Working with the Upward program, volunteer parents and coaches provided instructional play for soccer, basketball, and flag football. 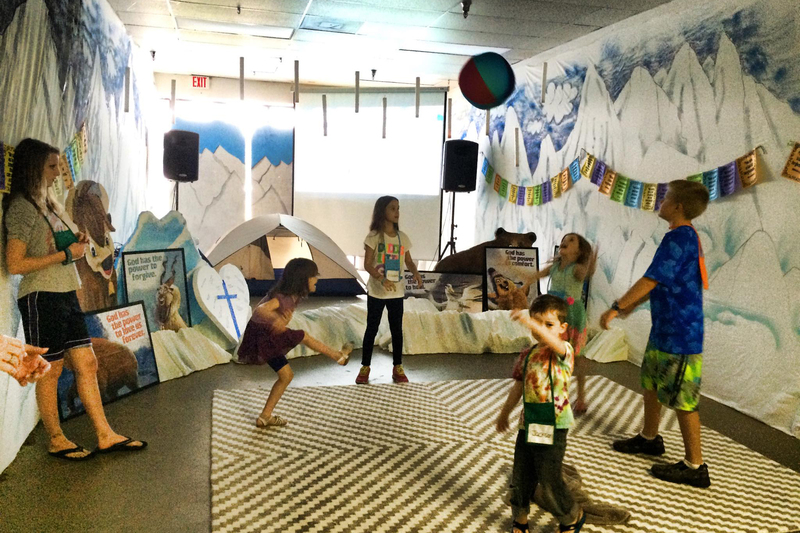 In its first year, Seminole Leagues served almost 200 children involving over 50 volunteers. 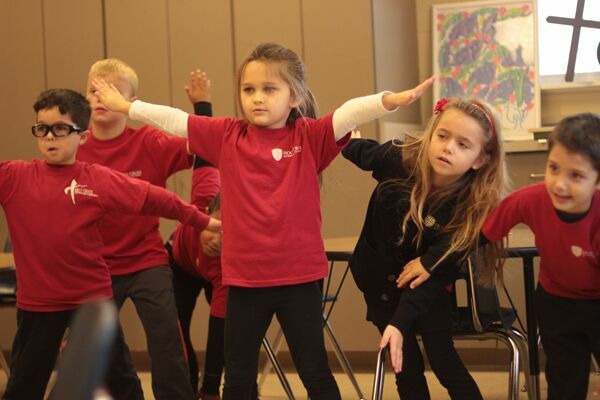 Holy Cross Lutheran Academy strives to teach the ‘whole’ child preparing them with 21st century skills. Maintaining the buildings, playgrounds, and equipment on three separate campuses to meet the needs of our students requires funds beyond what can be supported through tuition fees. We will make improvements in our parking areas to improve traffic flow and accommodate more cars, make needed repairs and upgrades to our playgrounds, and purchase technology related curriculum resources for all levels. To best serve our growing sports league and Holy Cross Lutheran Academy interscholastic sports program field improvements must be made. We will install irrigation and drainage systems on the fields at Upper School, bring in fill dirt to ‘crown’ the fields, and purchase field equipment to bring the fields to full functionality for the multiple sports offered through Seminole Leagues and Holy Cross Lutheran Academy sports. Holy Cross Lutheran Academy has experienced steady growth. Managing that growth and guiding it with purpose is critical to our success and ability to reach more students. We will contract with an architectural firm to develop a master site plan that will serve as a guide for future development of the properties. 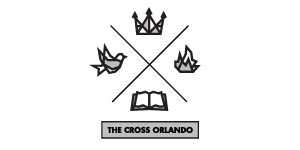 The Cross Orlando is an intimate, non-traditional gathering of people around the good and powerful Gospel. Now five years old, the people of the Cross value story, peace, lineage and life. We serve the needs of Orlando and grow the faith of believers. We allow ourselves to be known and take the time to know. We do the things we love and invite folks to join us. In this past year we’ve seen some friends get married and some break up, we’ve seen families have babies and people graduate from school. We’ve cheered friends as they’ve started businesses, left jobs and moved to pursue new adventures. Our gathering has grown to average around 90 people a week including almost 20 kids under the age of 7. We’ve entered the final year of our lease and have been working hard to find the next place that will better accommodate our growing needs. 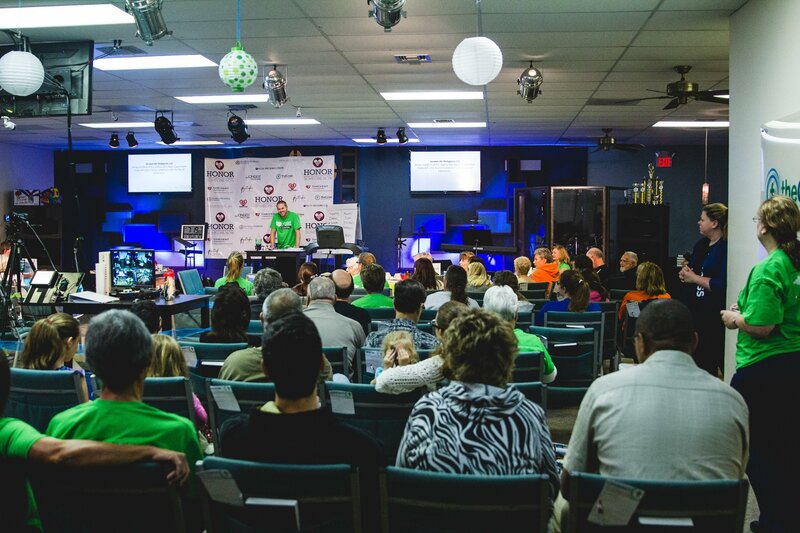 We’re excited about starting churches the way we do at the Central Florida Cross Network, where the planter is paid, and the new church can reflect his personality and that of the community where he’s called. We’re proud of the deep creativity and capability of our small congregation and are excited to fan those flames with these funds. We’re planning to establish a service project/mission grant fund, an entrepreneurial revolving fund and a counseling co-pay fund. We’re right in the middle of a strong need for a new place. Downtown real estate can be tough to navigate. We anticipate that any space we find will need an investment up front and improvements along the way. These funds will help us meet that short-term need and prepare us for the future. 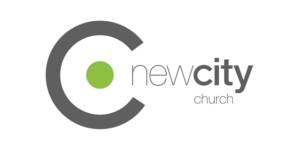 New City is a church of about 70 people who are beginning to call themselves a family. We are a place of healing and creativity built on relationships with one another and God. We are a praying community that is looking forward to seeing more lives changed. 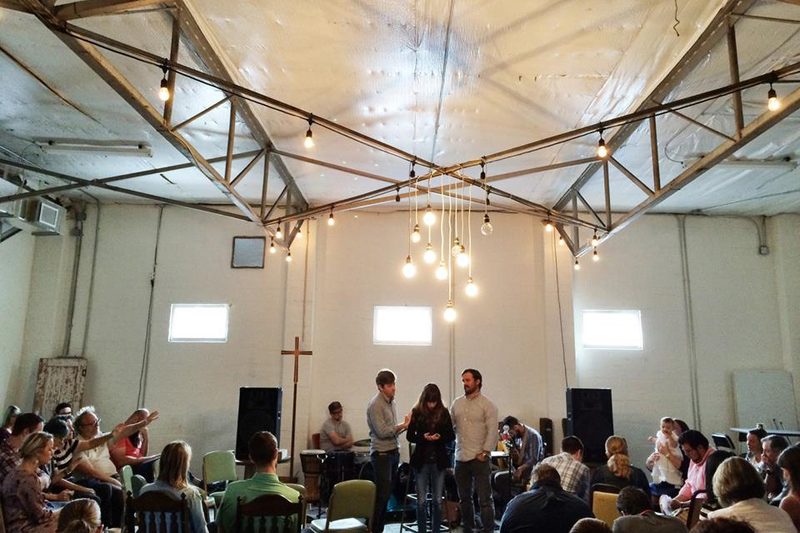 New City church moved into a new space for worship and creative gatherings last October. 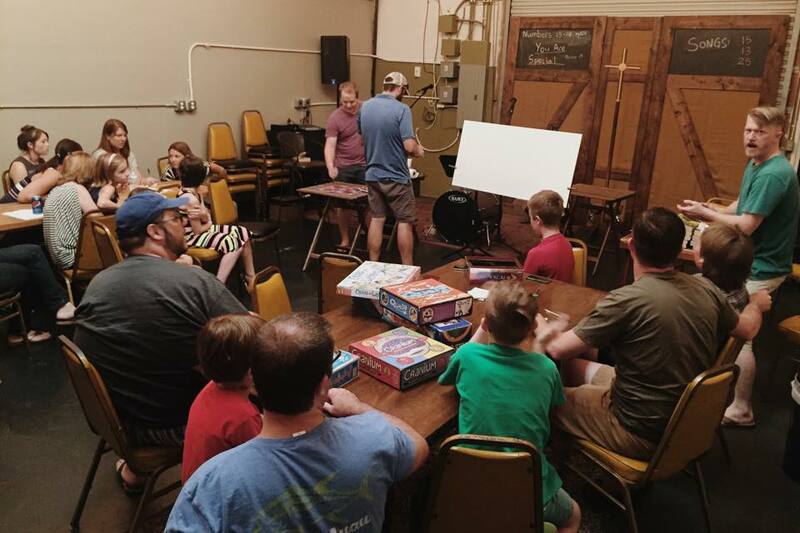 In less than a year God has used our space, the Lodge, to engage the community through events such as group guitar lessons, the Dinner Party Project, a prayer conference and several other events that connect people to our creative, life giving God. New City has always believed that we experience Christ’s love through service and in this last year God has revealed that we are a church that serves powerfully through prayer. New City believes that God has chosen to use churches as the primary agent in changing the world. So we cheerfully pledge 1/3 of our money raised to go towards planting new churches. 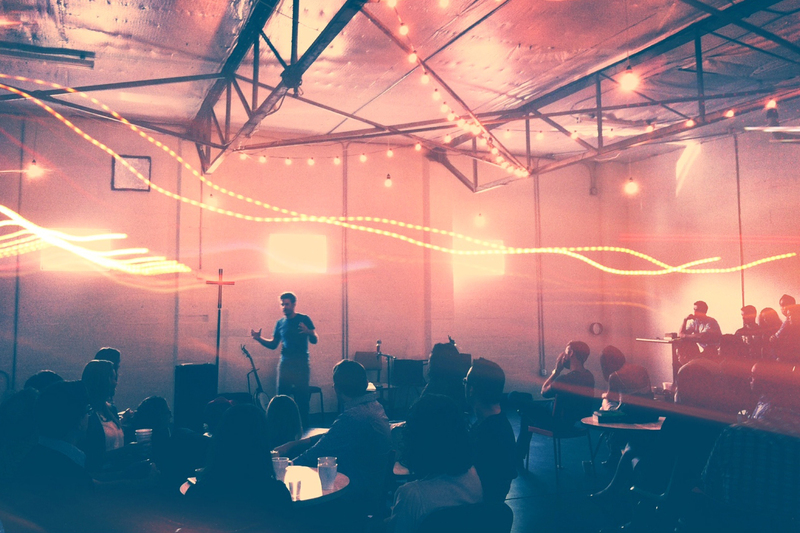 When folks gather around the story of Christ, lives are changed and that is why New City exists. 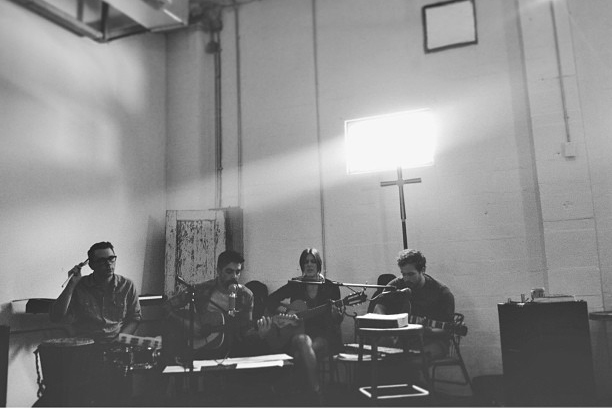 God continues to unfold healing and creative social ministries at New City. We will be pledging 1/3 of money raised to support three distinct ministries: creativity, counseling, and on-going series of conferences. To the city of Orlando, New City offers their unique gifting in a creative space where together we make music, share meals and connect with people who might never walk into a church. 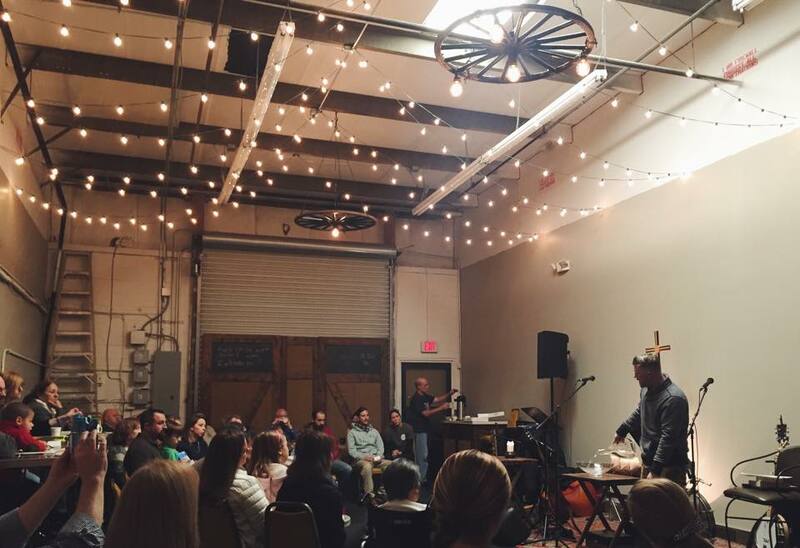 To our network of churches, New City wants to be a center for prayer and healing. We are hoping to organize and host a series of conferences and retreats. To our congregation, New City wants to help defer the costs of professional counseling for those among us with need. When we first moved into our current space, somebody said it was too small. Without thinking I said, “when God wants us to grow, the space next door will open up.” Well, the space next door just opened up and it is time to grow into it. So New City is pledging 1/3 of money raised to help build out and upgrade our new space. 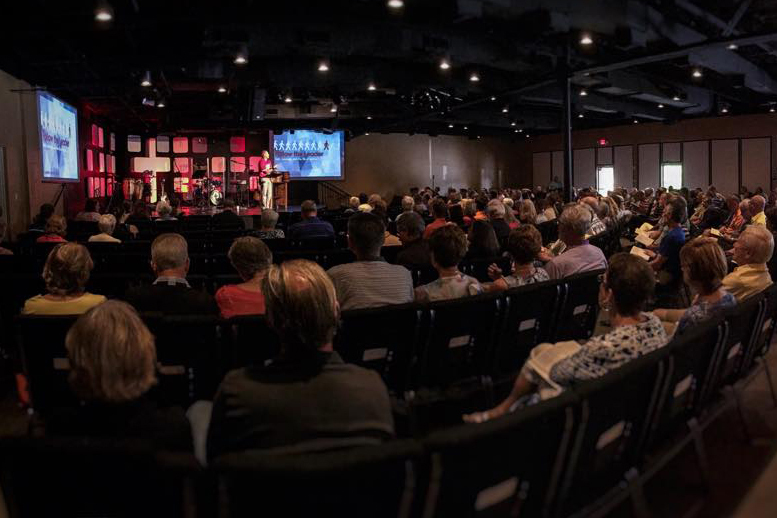 Wellspring is a new church that feels like home. We are seeking to give people a place to belong and to empower them for a life of action. We believe that God’s Kingdom is present today, bringing freedom, safety, and power to a world that otherwise is lacking in hope. With an awareness that God is always making us better tomorrow than we are today, we’re focused on the value and uniqueness of every individual and on fostering authentic relationships as the basis of a thriving community. We have partnered with a few different organizations in west Volusia to impact our community and to grow together as a family of faith. 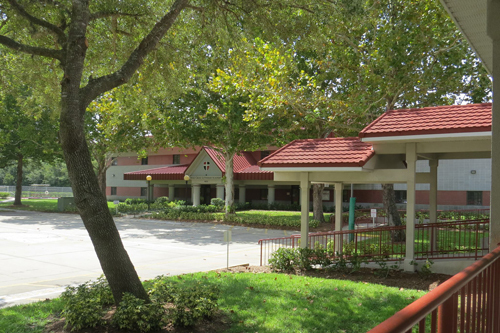 Through 2014 and 2015 we have seen the birth and growth of Wellspring as a community of the faithful in DeLand. 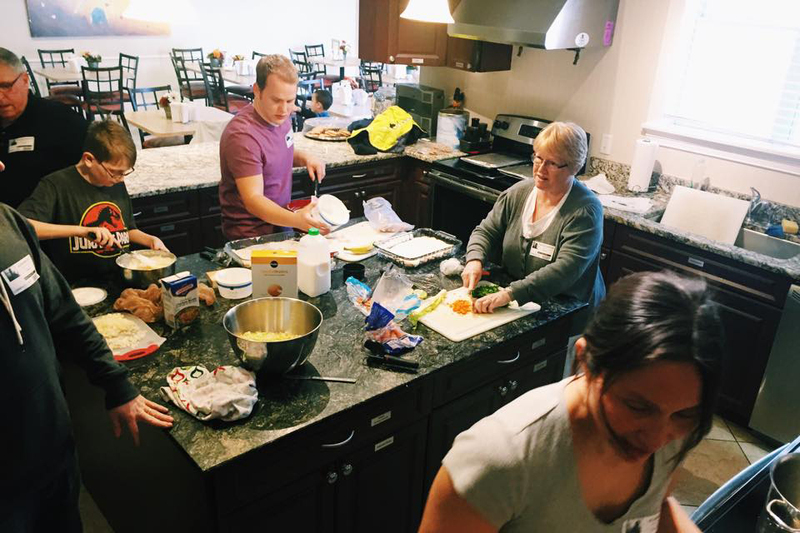 In January of 2014 we began meeting as a small group of people to share meals, study the Bible, and serve the community. In February of 2015 we launched regular Sunday morning worship. There are now an average of almost 35 people in worship attendance on Sunday mornings and 35 people gathering in five Teams throughout the week. As The Table has grown over the last several months, we have learned more about who God has called us to be. Over the course of Plant & Build, we will discuss how God is leading us to accomplish our mission in west Volusia County. This will include exploring how God has spoken through the writings recorded in the Bible as well as how God is speaking to us today to reveal his picture of a local church focused on ministering to her surrounding community. As the folks of The Table become family, we find that our interests and passions are diverse and varied. Over the course of Plant & Build we will share together how God has worked in and through us to invite us into the redemption of a broken world. We will explore opportunities to serve others and to lend our support where we see good things happening in our geographic area. Around The Table, we have been blessed to see God work rapidly and powerfully in our midst. As stewards of all that God has given us, we will continue to “count the cost” of becoming the family that he has called us to be. We will seek the Lord for his plans while identifying ways to prepare for his work within our Body of faith.